Throughout our careers and personal lives, we are forced to make many major decisions and tradeoffs. 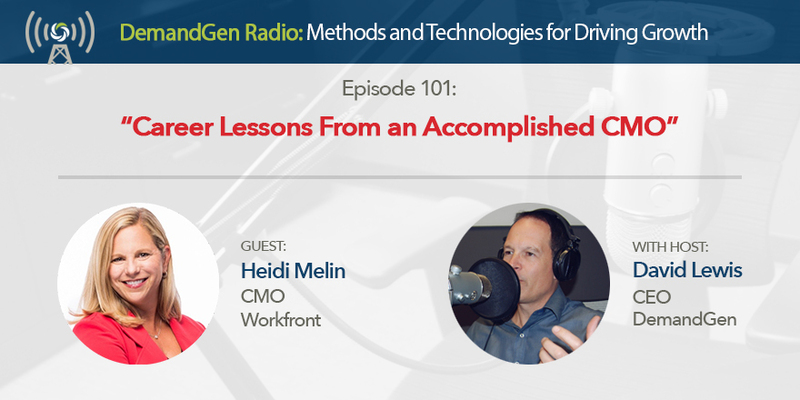 Heidi Melin, CMO of Workfront, is an accomplished CMO with great insight, advice, and stories to share around career development and finding the right work-life balance. Listen as Heidi and I talk about how to know if you’re at the right company and whether or not it’s time to move on.